THE place to play in the clay! 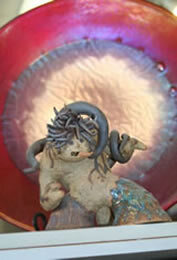 The Clay Connection welcomes people who want to get down and dirty, in fact they even teach you just how to do it! This fun shop is full of clay and glass supplies and muddy people laughing. If muddy clay hands just aren’t for you, there are much cleaner fused glass art classes. 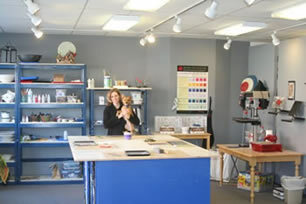 The Clay Connection is Spokane’s largest supplier of ceramic and art glass supplies. If you are looking for that certain ceramic tool, raw clay or glaze ingredients, this is the best place. 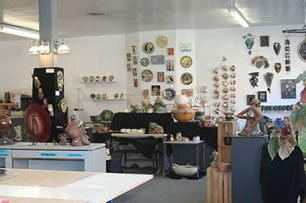 This little shop is the connecting point for clay supplies from Skutt Kilns, Seattle Pottery Supply, Coyote Clay and the Clay Art Center. For those less muddy-clay inclined, they are a Bullseye Glass distributer and also handle tools, stands and fused glass supplies from Delphi Glass Company. Clay classes range from learning to throw on the potter’s wheel, hand building and making clay tiles to learning to format your own glazes and how to use them. There are different classes for all ages and levels of experience with a special emphasis on family classes. Where else can a family all get dirty together?! Fused glass classes range from beginning fused glass to intermediate fusing and slumping. Come create your own glass jewelry pieces. If you think you already know what you are doing with clay, come join the camaraderie of open studio times or be involved in a monthly studio rental program. Kiln space is available for rent in both the cone 06 /04 bisque firing range and also glaze firings at cone 5/6. 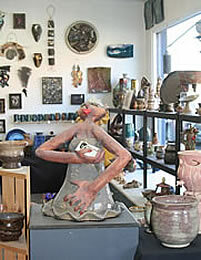 In the glass area there is also opportunities for open studio time. 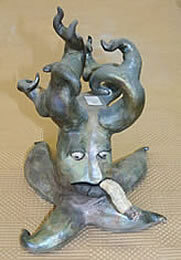 Monthly gallery openings are held on the First Friday Gallery Tours. 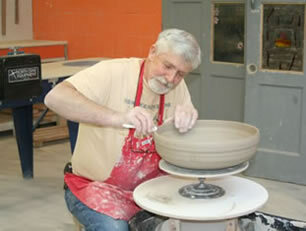 Now’s the time to find your hidden clay talents with the help of the studio’s local clay instructors. Come play dirty at The Clay Connection! Just too much fun! Tools, stands and fused glass supplies from Delphi Glass Company.